I've not been a big spirit drinker since my teenage years really but I've become a bit of a gin lover of late. It started in the summer when Nick met up with his friend Gary and they whiled away a few hours in the pub garden sipping on G&T's. That translated to Nick forcing me to try one, and me being adamant that I really didn't like gin. But, wait a minute, this wasn't the gin I remembered. This was actually really nice!!! Fast forward to November, and many bottles of gin later, we found ourselves off to the gin festival in our home town!!! 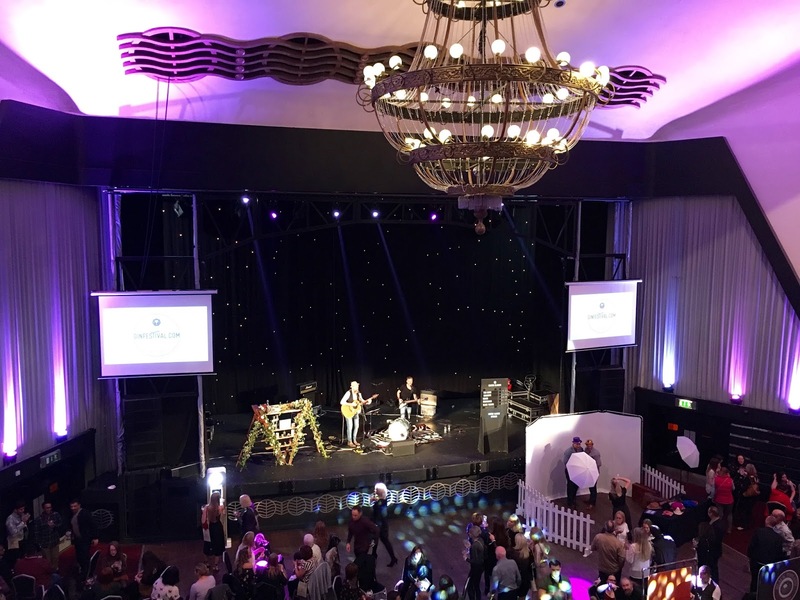 The event was being held at Athena in Leicester and we were invited along by Ginfestival.com, the UK's premier gin events company. With festivals being held all over the UK, they've become hugely popular. Understandable! We went along on a Saturday evening (which was sold out) and even though we arrived about an hour after the doors opened they were still queuing down the street. 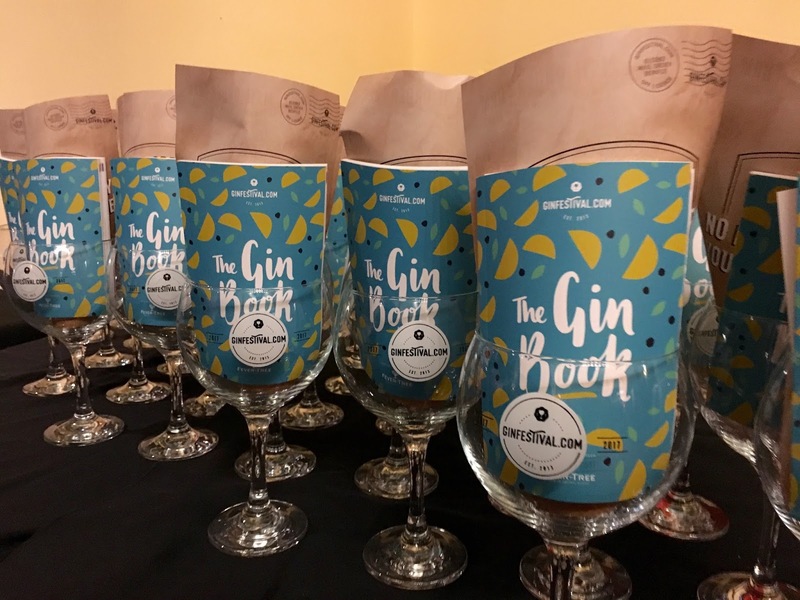 On arrival you're given your very own gin festival copa glass and a gin guide book to steer you through the 100+ gins on offer. The venue is so unique too. Athena used to be an old cinema, one I attended frequently as a youngster, they've retained so many of the original art deco features, and it makes it such a fabulous place to have the festival. It's not just a room, a conference hall, or hotel, this venue has a soul, not to mention great acoustics for the live band that was playing throughout the night. So, you buy your ticket to get in, pick up your glass (make sure you don't put it down anywhere though and loose it!) and then head off to buy your gin tokens. The whole event is operated on a cashless payment system, you buy yourself as little or as many tokens as you like and they get loaded on to a wristband. It's a great system for an event like this as it stops cash from flying around and you get your drinks quicker! 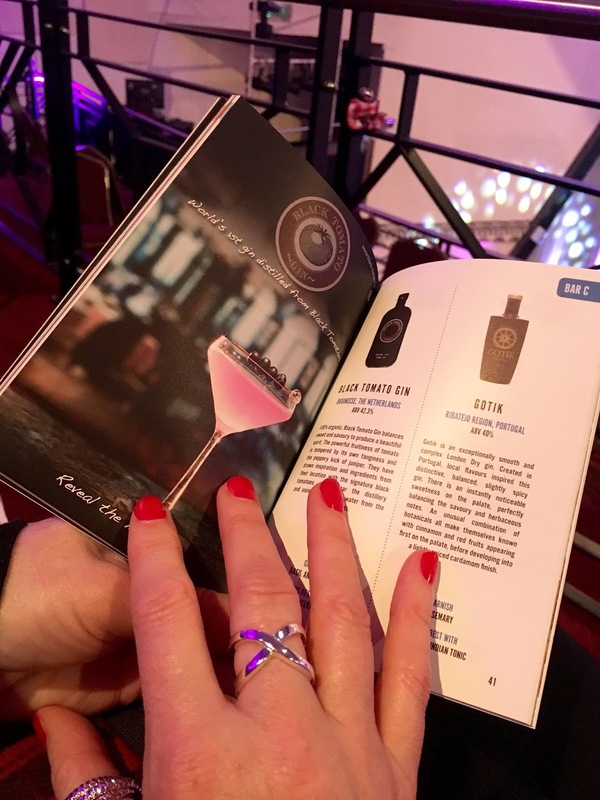 It's a real thrill going round seeing what's on offer, reading your gin guide book and picking out what tickles your fancy. There are gins from all around the world, with some real unusual ones too. Combinations you'd never think would work, like the black tomato one, where they wipe the rim of the glass with basil, before pouring, I thought I'd like that one but it's not in my top three! 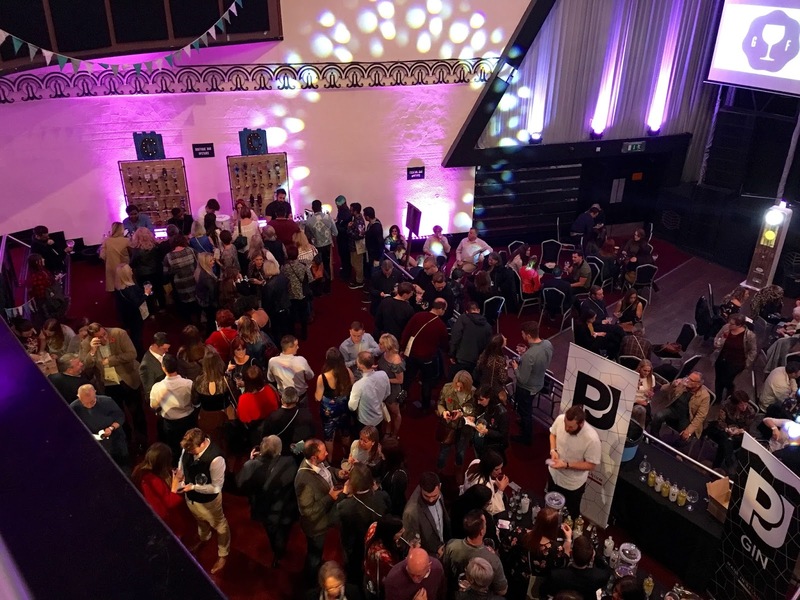 There's also a gin cocktail bar, photo booth, a few stalls to get food and numerous masterclasses taking place, so you can learn whilst you drink, but you have to be fast with those as they fill up really quickly! There are so many brands at the event giving out free samples too, we lost count of how many different gins we actually tried. We tried to keep a note but gave up in the end!!! We were a tad on the tiddly side when we left. We couldn't get over how busy the event was, it was rammed and there was quite a party atmosphere with the fabulous band that was playing. Everyone was having such a gin-tastic time. 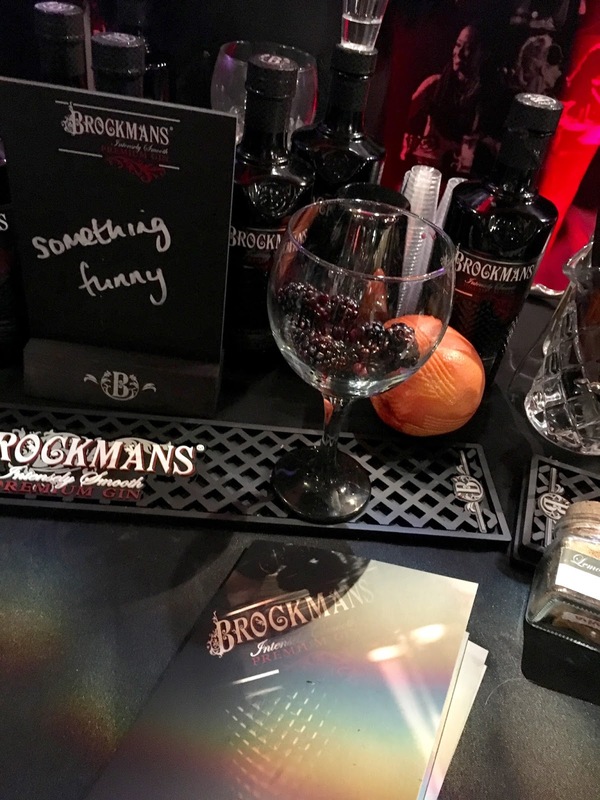 If you're into your gins, this is an event you must go to, it's worth every penny and of course you can buy any of the new gins you discover and your old favourites whilst you're there. There are still some events running in December and into the new year in various locations. Head to the website (right here) to check out the details and if you've missed the one in your area, don't worry they'll be back. Just make sure you get your ticket! 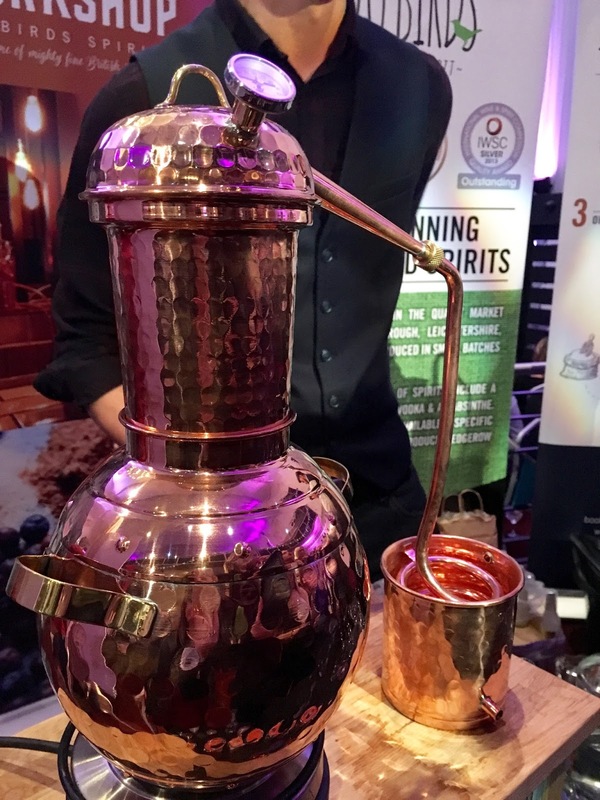 Thanks so much to Ginfestival.com for inviting us along for the purposes of this review. All thoughts and opinions are my own. Are you a gin lover? 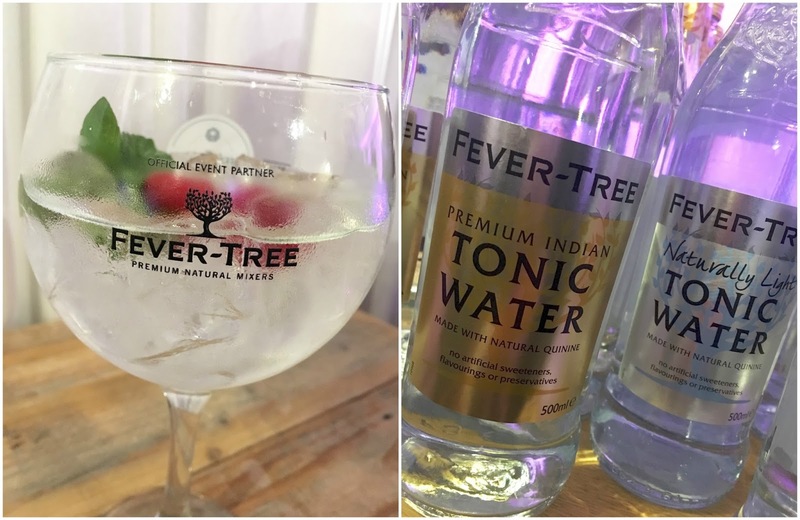 Have you been to a gin festival? No, I haven't. It looks like a wonderful time. It sure was!!! Thanks for reading.